Flavour was in fact top of my agenda as I headed for Angela’s workshop on the dark arts of fermentation. Effectively the process of controlling the decomposition of food, fermentation is at the heart of miraculous transformations like turning fruit juice into wine, or flour and water into bread. Indeed the practice, it transpires, intensifies flavour and renders it more subtle. Many foodstuffs become more nutritious after fermentation, and the process predigests food, breaking down long chains of proteins, fats and carbohydrates into simpler compounds that our bodies are more able to absorb. Medical researchers are coming round to the idea that in order to be healthy, people need more exposure to microbes, and the absence of live-culture foods is one of the major problems with the western diet. Fermented food, said Angela, is ‘alive’- an idea not lost on Michael Pollan, who, in his recent book ‘Cooked’ suggests that its creation allows people to take back control from corporations and their ‘dead’ food. Fermentation, he says, is subversive – it goes against the prevailing orthodoxies of hygiene – antibiotics, hand sanitizers and pasteurisation. He cites the godfather of fermentation, Sandor Katz, who speaks of ‘cultural revival’ – both of food cultures and the microbial cultures that create them. Looking around the room, there was a third sense in which culture was being enacted, with the shared experiences of people from cultures where fermented food is the norm. As I moved on to other workshops, fermentation proved to be a very effective metaphor for the wider process of reskilling. I swapped stories with people from many different cultures. 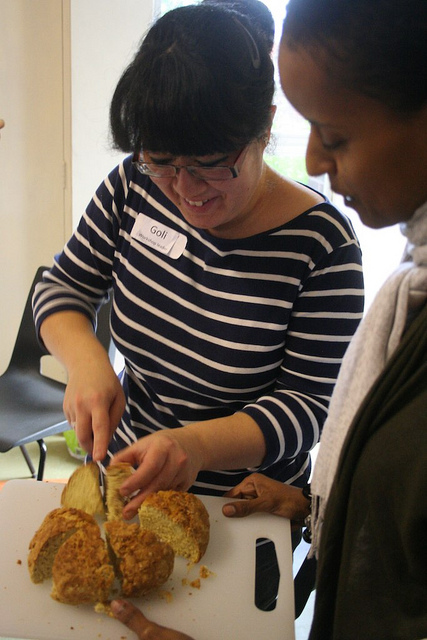 Looking in on the breadmaking class I was struck by how intensely alive the whole experience was – not only a tactile engagement with one of the raw ingredients of life, but the laughter and pleasure of people sharing an experience with strangers. 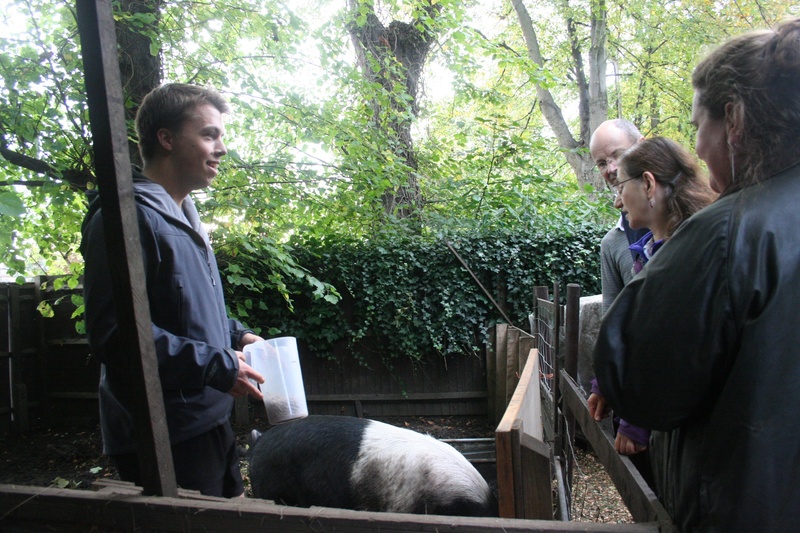 A workshop on chicken- and pig-rearing was most notable for the healthy, happy interaction of humans and animals – a rare thing in urban West London. 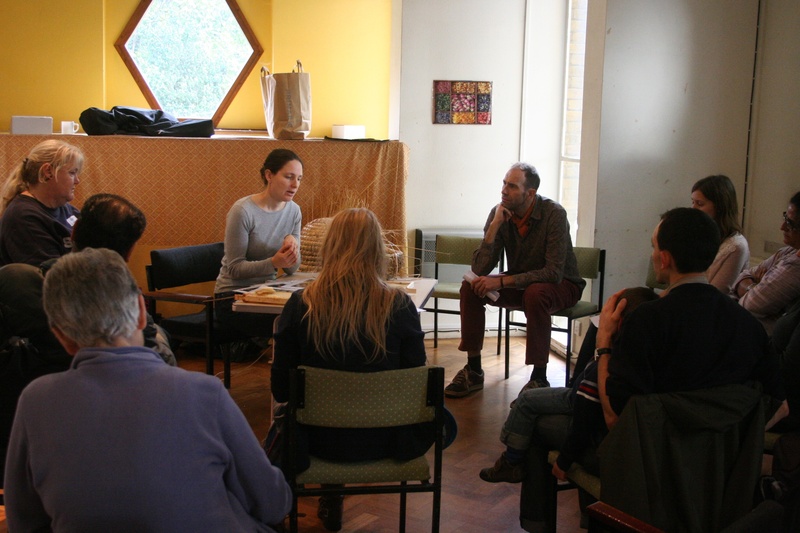 Ealing Transition beekeepers shared the ups and downs of the last two seasons, and craft workshops like knitting and sewing showed how sociable shared work can be. Eco jeweller David made beautiful items from stone foraged from a memorial stonemason, slate found by the Thames, and telephone wire left in the street by BT. 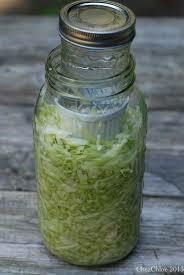 But as with the various fermented foods there was another, magic, ingredient. In this case, it was imagination. 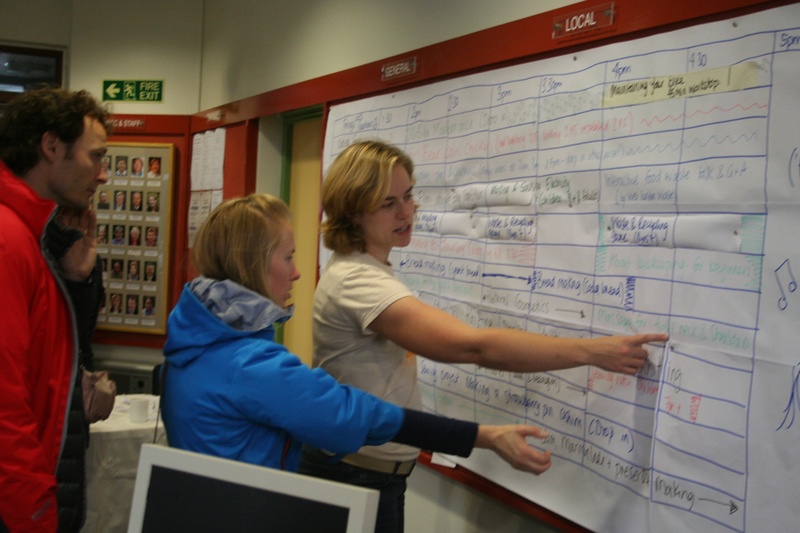 Elsewhere, there were practical workshops on draughtproofing, energy conservation and bicycle maintenance. Pilates, massage and natural cosmetics classes nourished both bodies and minds. 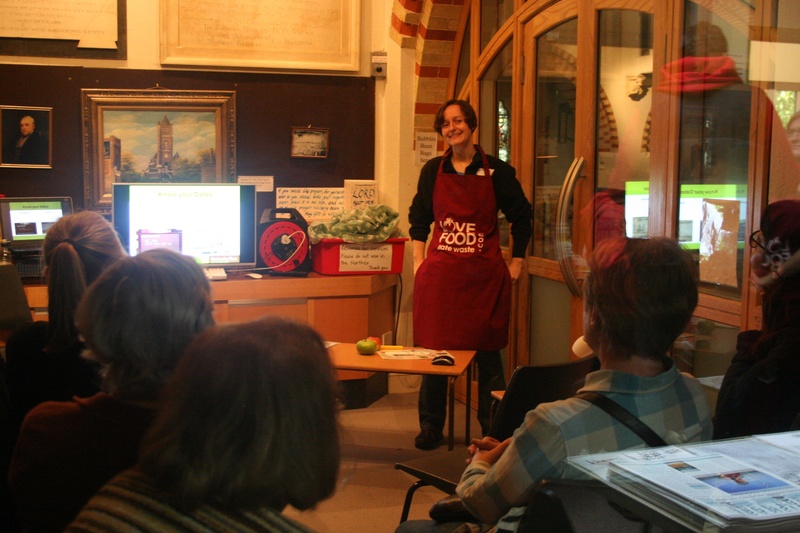 Chickens were prepared over hot coals using a can of beer to distribute heat and provide moisture and flavour, and West London Waste dispensed useful tips about preserving food and recycling. We were very pleased to welcome local MP Angie Bray to the day, and she promised to take some of what she had seen ‘back to work’ with her. We were also joined by Sam Stephens, founder of Streetbank, a great initiative engaged in building a sharing economy and putting real human contact back into social networking. 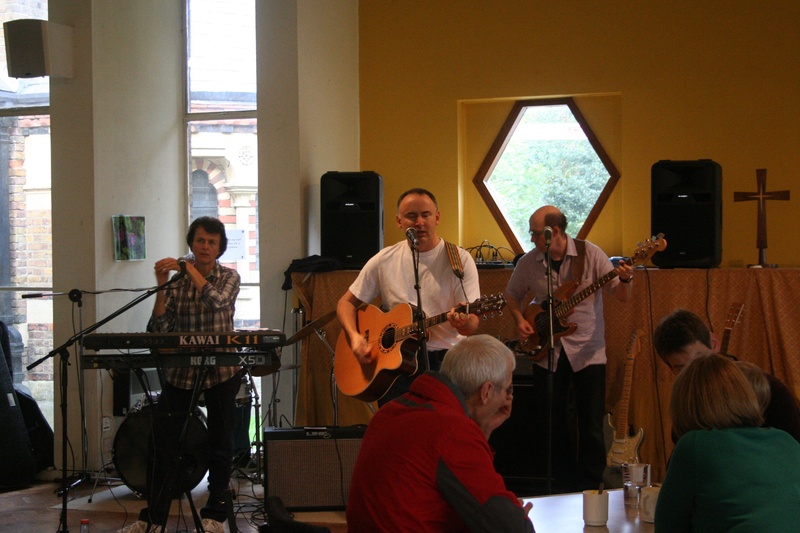 To round off the day, participants and those who had shared their skills came together over a shared meal of local food, to the sound of fantastic local band The Bats. We counted over 150 people at the event, our best ever turnout and ample evidence that there is a hunger for skills and the self-reliance they breed. But rather like the mysterious properties imparted by fermentation, there is something else, something alchemical about reskilling – it is transformative, infectious, vital. All in all, it was a great day, full of community spirit. A massive thanks to all who took part! 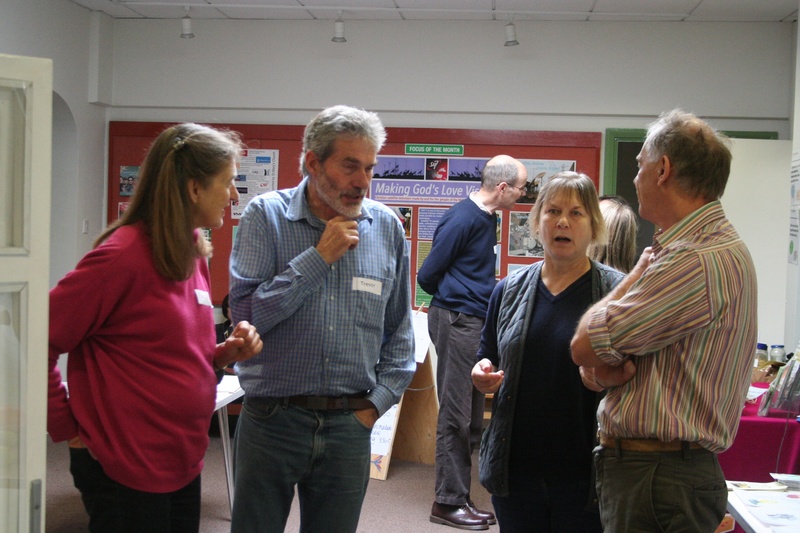 See our Workshop Facilitators page for details of some of those who gave our workshops.